Legal and policy experts met for the first national conversation about the bill at the core of U.S. food policy. Like most things, food policy in our country is in flux. President Trump hasn’t said much about the topic directly, but he has taken a private meeting with executives from Bayer and Monsanto, whose pending merger would reshape the global agrochemical and seed industry. His nominee for Secretary of Agriculture, Sonny Perdue, appears to be a staunch supporter of Big Ag interests, and a Florida Congressman introduced a bill last week that would effectively do away with the Environmental Protection Agency, despite its ongoing work on pesticide regulations. Against this backdrop, the Farm Bill—a trillion-dollar omnibus law passed every five years—is once again on the table. Last week, food and agriculture policy experts from around the country met to discuss the 2018 Farm Bill. The discussion was hosted by AGree, a bipartisan food policy organization supported by eight of the largest food and ag-focused foundations. The group’s leadership includes Dan Glickman, former Secretary of Agriculture under Bill Clinton and director of the Aspen Institute Congressional Program, and Kathleen Merrigan, former Deputy Secretary of Agriculture under Barack Obama and current Executive Director of Sustainability at the George Washington University. The event’s attendees discussed how to build political consensus around food and agriculture policy, and expressed their strong interest in passing a comprehensive and timely version of the Bill. The dozen speakers spoke only obliquely of President Trump’s priorities and recent activities, though there were indications that there may be a gulf in priorities between the agriculture policy community and current policymakers. The five panelists included Ronnie Green, chancellor of the University of Nebraska—Lincoln; Ferd Hoefner, senior advisor at the National Sustainable Agriculture Coalition; Lynn Jacquez, principal at CJ Lake law firm; Eric Mitchell, director of government relations at Bread for the World; and Fred Yoder, chairman of Yoder Ag Services. They discussed several priorities for farmers in the coming Farm Bill, such as workforce stability, conservation programs, research funding, and crop insurance. But the conversation repeatedly returned to two issues that have comprised the bulk of the food policy debates since President Trump’s election: nutrition programs and immigration. The conversation about immigration was framed by some panelists’ concerns over looming labor shortages, particularly in the fruit and vegetable industry. Jacquez, whose specialty is immigration and refugee law, noted that seasonal migratory labor has “halted stunningly and precipitously” in the past 20 years. Jacquez said the replacement rate for agricultural workers has also dropped while their average age has risen. These factors, alongside a growing consumer preference for labor-intensive fruits and vegetables, are putting a strain on agricultural employers. “The [U.S. Department of Agriculture] can do so much more in this space,” Jacquez said, including crafting its own program to bring in agricultural workers. 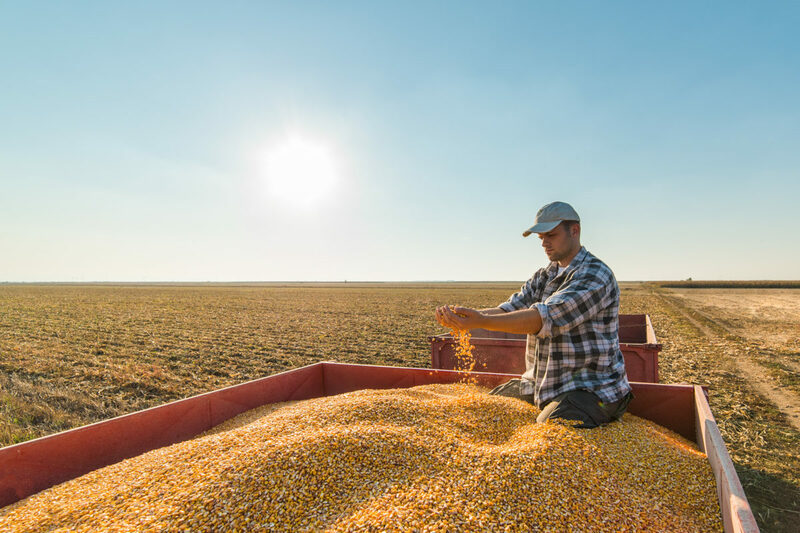 This idea has been floated in Congress, as well—two representatives recently introduced a bill that would move the H-2A agricultural visa program from the Department of Labor to the USDA. As everyone in the room was aware, President Trump’s intent to limit immigration, and particularly his promise to build a wall between the U.S. and Mexico, could dramatically affect the agricultural labor pool. Around 75 percent of farmworkers currently working in the U.S. were born in Mexico, and at least 60 percent are undocumented. Another key topic of conversation was the future of the Supplemental Nutrition Assistance Program (SNAP), or the food stamp program. SNAP and other nutrition programs are funded through the Farm Bill, and account for about 75 percent of the Bill’s spending (in 2016, nutrition programs accounted for around $89 billion of mandatory federal spending). Republican legislators have in the past proposed removing SNAP from the Farm Bill and converting it to a block grant, which would allocate its administration to the states. Anti-hunger advocates have argued that block-granting the program would result in cuts, as the program would have less ability to respond to emergency situations. Jerry Hagstrom, a veteran agriculture journalist, echoed this sentiment. He said that from what he’s seen, there is “complete unity” among agriculture and trade groups that nutrition and commodity programs should remain together in the 2018 Farm Bill. But Eric Mitchell, from the anti-hunger advocacy organization Bread for the World, was more skeptical. He encouraged the audience to consider political forces beyond the food and agriculture industry. He expressed concern that the Republican Congress might still pursue block-granting SNAP even against the wishes of agriculture groups. Several powerful Republicans have supported a move to block grants, including House Agriculture Committee chair Mike Conaway and House Speaker Paul Ryan. The last Farm Bill process was paralyzed for over a year by political debates surrounding possible cuts to SNAP. Those debates were in large part responsible for the delayed passage of the Bill, which was two years overdue when it was eventually signed in early 2014. As we reported at the time, the 2014 Farm Bill was largely pro-Big Ag with a few bright spots for small-scale, sustainable farming. It included increased spending for beginning farmer trainings and micro-loan programs, as well as expanded conservation and local food funding. But attempts to shrink the size of crop insurance payouts that are distributed to high-income farm owners failed, as did other efforts to rein in subsidy payments. The mood in the room at the AGree summit was genial and focused, with wonks and farmers alike advocating a bipartisan, big-tent approach to the coming Farm Bill and to working with the new administration. It remains to be seen whether this spirit of compromise and consensus in policymaking will be reflected by those in charge of actually making the policy. At age 77, I grew up when my parents did not have to worry what pesticides and fertilizers were contaminating the food supply, but I am worried for my grandchildren and their contemporaries. I buy organic, but am not sure they can afford to. I would like to see small family farms get help to compete with Monsanto and other killers of the environment. We were told Monsanto would provide food for the world, but they seem to take from the natural environment and farmers while adding little. They have not been adequately evaluated as far as food safety and environmental degradation. I want the EPA to continue as a legitimate governmental agency, and to evaluate more additions to our food and what we put on our skin for health and beauty--I think many are poisoning us. Alright, so this might be a silly question, but why aren't American youth encouraged to do farm work? It seems crazy to me that 75 percent of our country's agricultural workers are immigrants. As a young person in college in Oregon (I am 19), I notice that academia is revered or thought of as leading to the "good jobs." There is a lot of talk around sustainability and being eco-friendly, but few people want to actually go out and do the work.